Hello travellers from all arround the world! We’re back with a new article about transport means from Gatwick Airport and today we will be talking about the Gatwick Transfer service and London transfers in general. 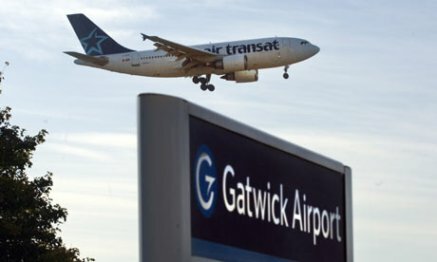 Therefore, if you are planning to arrive on Gatwick in the coming future, this article is a must! The thing is that London has two type of transfer services. One of them is made of the iconic black cabs, which I’m sure you heard about or saw in the movies while the other is less known by people outside London, and refers to the minicab service – a cheaper and much more welcomed version of the blackcabs. Which one is better, which one should you book? Read bellow and find out! Although both transfer services have their pros and cons, most people would say that the minicab service is the best one to choose. But this doesn’t mean that it is also service for you! What do minicabs have that blackcabs don’t? a) fixed prices – while when using a black cab you are charged by a meter which runs continuously during your trip, when booking a transfer from Gatwick (or any other place in London) with a minicab company, you will know the price from the beggining and it will not chance no matter what. b) lower prices – it’s a known fact that minicab services are on average 50% cheaper than blackcabs. It’s obvious that when booking a minicab company as your Gatwick Transfer (or as your transfer company in general) , the main advantage comes from the financial aspect. Yes, prices are the reason for which this companies are most preferred and the fact that in the past years many have managed to evolve in such a way that both their drivers and operators are well trained in customer services and know exactly what they are doing. What do blackcabs have that minicabs don’t? a) the knowledge – I don’t know if you are ware of this but in order to become a black cab driver you have to take a three years training course and to learn about every single London street. Therefore, when you book a blackcabs from Gatwick or anywhere else in London you can be sure that you are in the right hands and your driver won’t get lost on the way. This doesn’t mean that minicab drivers get lost – thanks God for the GPS. b) can be hailed on the street – while minicabs have to be booked in advance, the main advantage of blackcabs is that you can hail them on street on get into it anywhere you find one empty. This is fantastic as it saves you the time of booking a transfer when you are in a hurry. Therefore, if you find yourself on the airport looking for a Gatwick Transfer and you see a black cab, all you have to do is get into it. As you can see it mostly depends on what you are looking for when you find yourself on Gatwick Airport in the search of a transfer. As there is not much difference in comfort or reliability, it mostly depends on what you are searching for: lower fares or knowleadgeable drivers, fast pick-ups or fixed fares. Which is the best London Gatwick Transfer for you?.